Here’s another raunchy comeback from one of FrostClick’s favorite rapper, Mike Schpitz. 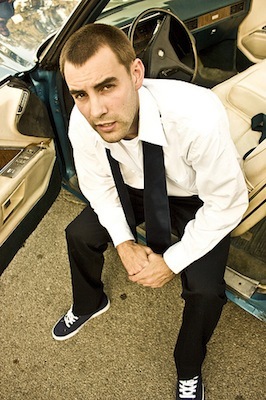 After his successful release of Spring Cleaning, which was also featured here on FrostClick, comes another set of fresh hip hop tunes to cap off 2013 in Paid Time Off, produced by Phys Edison. Haiing from Topeka, Kansas but currently based in Chicago, Mike Schpitz is a three-in-one machine who juggles in between a full-time job, being a parent, and rapping. Mike rekindled his love for hip hop after discovering a 9th Wonder beats tape online. Together with his Kansas crew, he made a mixtape using the said beats and promoted it online. After a few local shows in Chicago, he teamed up with fellow artists/producers and the rest is history. With one album after another, the Sunday Drive-creator continuously hones his craft and songwriting. He has now released thirteen collections—four original albums and nine mixtapes/EPs. “For me, it always felt wrong not to be making a new material. I am always continuously conceptualizing songs, albums, mixtures, etc in my head so I tend to always have an inspiration”, Schpitz shares. “I know a lot of artists say music is therapy but for me, writing is a therapy”, he added. 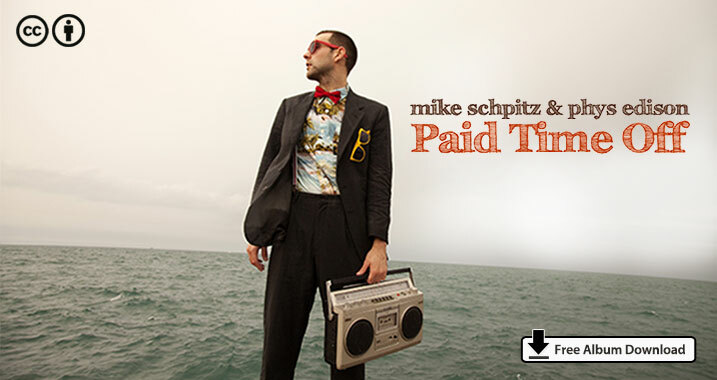 In Paid Time Off, Mike fuses jazz and soul musings to chill hip hop beats for easy listening. This certain funk in the album is well executed in Orientation. The song opens up with congo-ish beats and lounge tunes perfect for unwinding. Crisp, clear lines are a delight to the ears. Kick your feet up and pour yourself a drink as you listen to Out of the Office. Featuring jazzy horns and low-tempo rapping, the emcee treats us with the ultimate chill pill after a day’s work. In Something To Say, Mike Schpitz plays all his aces—uncreased wordplay and organic arrangement. The combination of wind instrument, rhythmic tribal drums, and soulful female solos add flavor and texture to the whole piece. Treating Me Wrong wraps up the album in a perfect blend of rap and soul vocals that flawlessly shift gear within a sonic mold. Enter a mellow high as the track serenades you with spot-on hip hop beats that transcends seamlessly to jazz melodies. Paid Time Off is enjoyable in varying degrees. Mike Schpitz has designed tracks that are unified with a sole goal—to provide a refuge for the weary working souls. Mike Schpitz said that for him, creating music just feels right. And truly, this album is everything we could have asked for.